Security is one of the most important aspects for riders or pedestrians, being small in size, bike riders, motorcyclists or pedestrians are easily missed in sight by bigger vehicle drives and can cause harmful effects as well. Reflective Stickers provide the adequate safety by making riders and pedestrians visible even in the darkest of situations. Go Stickers using our high-tech equipment and the most experts hands are able to deliver Reflective Stickers that are the most reflective and are able to reflect almost 100% of the light falling upon them and provide the most durable and re-usable stick at the same time as well. On bulk orders, we also offer free on-site delivery and also don’t charge a dime for the cutting die or the printing plate equipment. Buy from us in bulk to maximize your profit margins. Reflective Stickers are the perfect modern solution to make bikers or pedestrians more visible while they are on the road. Go Stickers offers Reflective Stickers that have the shiniest fluorescent surfaces and make almost 100% of the light falling on them reflect back to the source and providing the highest most notable shine possible. This shine by these high-quality stickers makes the person wearing them on their helmet, jacket, arm or even legs much more visible than they ever could be without any similar stickers on them. When selling to other businesses that will be selling the products to their own end customers, best bulk prices are required that provide the maximum profit margins. Go Stickers, using our decades of experience and unmatched skills have developed very reliable sourcing, manufacturing and distribution channels that help us reduce costs and provide the cheapest Wholesale Reflective Stickers that yet offer the highest quality features that are expected from them. Our team of experts is able to utilize the most advanced equipment and their own personal high-quality skills to the best of their potential and offer the market leading bulk prices for Custom Reflective Stickers that aim to maximize our client’s business at all times. 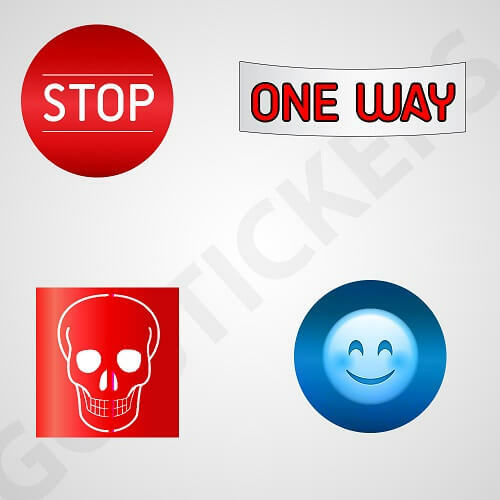 Go Stickers utilize the highest quality plastic hybrid materials while manufacturing our Custom Reflective Stickers that are given their highly reflective colors at very initial stage rather than just spraying or applying a sheet of color on top of them. 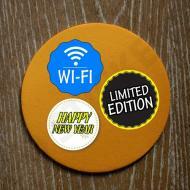 This gives them a generic color that provides the same bright shine no matter how much time they have been used for. 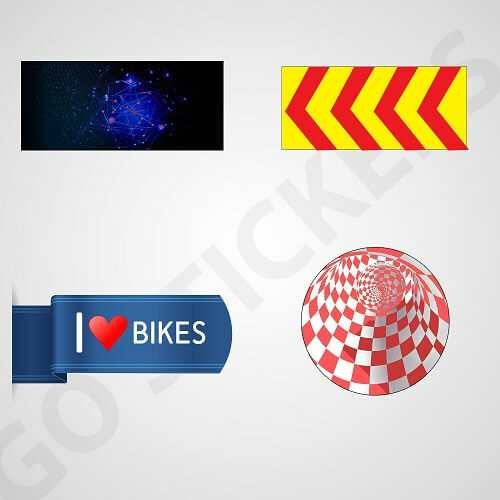 Bicycle riders, pedestrians, and even motorcyclists can make use of these highly reflective vinyl decals from Go Stickers that have the ability to make them much more visible to the car, truck, lorry or any other vehicle drivers regardless of their own size and speeds. Now matter how harsh they are used, the Custom Reflective Stickers by Go Stickers will keep their shine just like new for years to come. 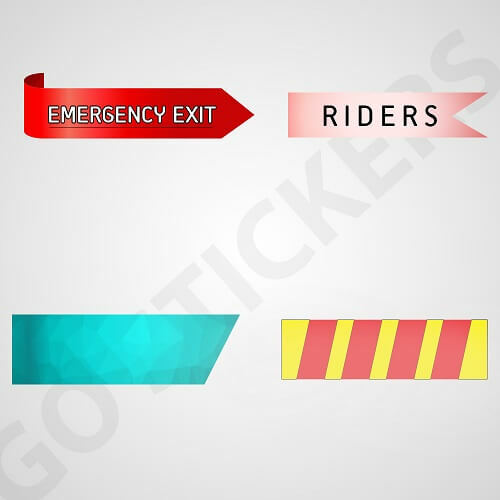 Go Stickers realize that all the different bikers, motorcyclists or pedestrians might require Custom Reflective Stickers in different sizes and might need to stick them on different objects, we have the most advanced cutting die equipment that allows us to produce stickers in all the variable size and shape requirements possible. The Reflective Stickers especially cut for different objects like helmets, bags or jackets have the ability to fit their exact customized sizes perfectly and provide an appropriate strong enough adhesive stick for each of them as well. The weatherproof nature will keep them safe regardless of where they are used and the most durable finish will enable them to last you the longest. Reflective Stickers are rather a common product today, but to find the best wholesale prices for Custom Reflective Stickers that provide the strongest adhesive hold along with the longest lasting and highest reflective surfaces, you don’t have to look anywhere else. 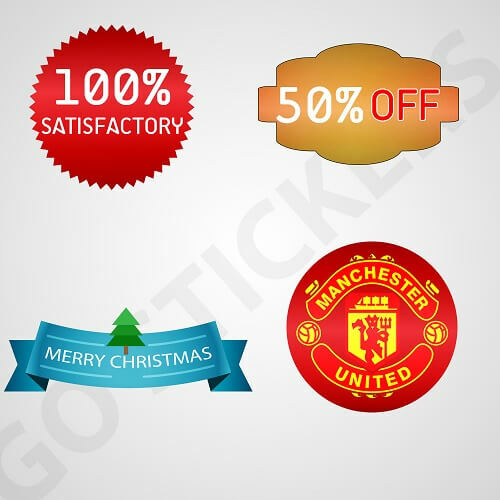 Go Stickers will offer you leading bulk prices for highest quality stickers that will also be delivered to you free of cost. We believe in growing out business alongside our client’s by providing them with highest profit margins possible.